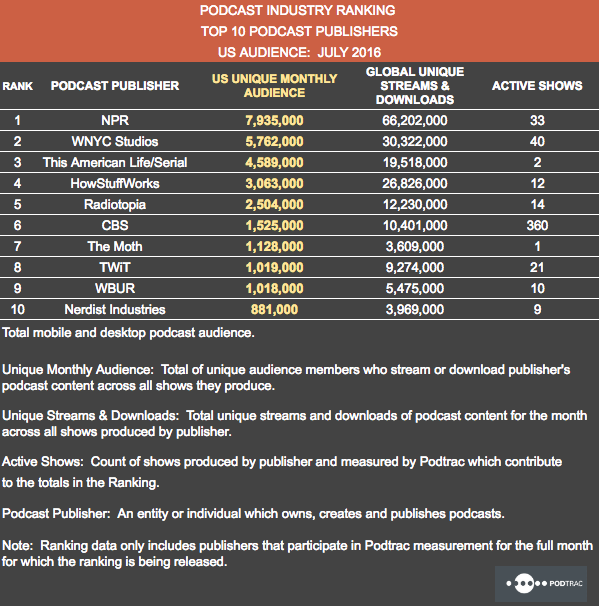 Podcast measurement company Podtrac today released the July edition of its Industry Ranking Top 10 Podcast Publishers. 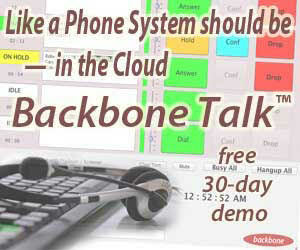 The monthly ranking includes only Podtrac clients whose program consumption is measured by Podtrac’s service. In July’s list, the lineup of top publishers is identical to June. Podtrac reports that the top ten publishers gained 5% more unique streams and downloads in July compared to June — 188-million listens in all. This ranking table was launched as a monthly report in April. NPR has been the top publisher each month. 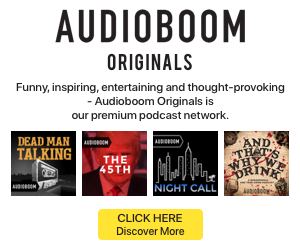 This is the Podtrac top 10 not the podcast top 10.
hey Todd — not sure I understand. The product is called “Top 10 Podcast Publishers.” I did explain that the list includes only Podtrac clients.